Philadelphia Weekend Weather & Storm Forecasts - Page 223 of 224 - Storm Forecasts & Other Things "up in the air". Our woodpecker couple living in a tree in our backyard has had a brood. Cleverly, the woodpecker has detached the bark of the tree to serve as a protective door. Our view is a bit obstructed, but if you look carefully you can see a young beak as the female brings it some suet to eat. 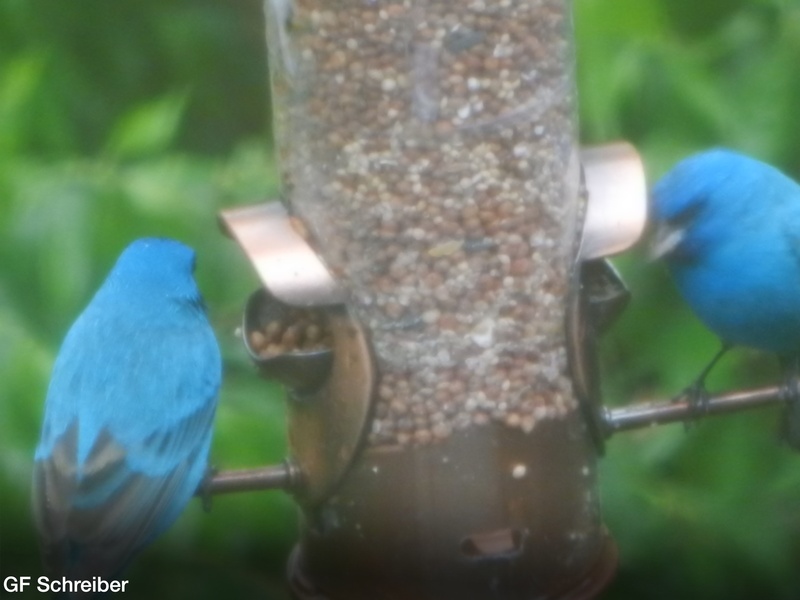 On Saturday, May 10th, an early afternoon thunderstorm caused us to return home early and find that two male Indigo Buntings had taken refuge from the storm on our feeders. One reappeared that Monday, but we haven’t seen them again since then. 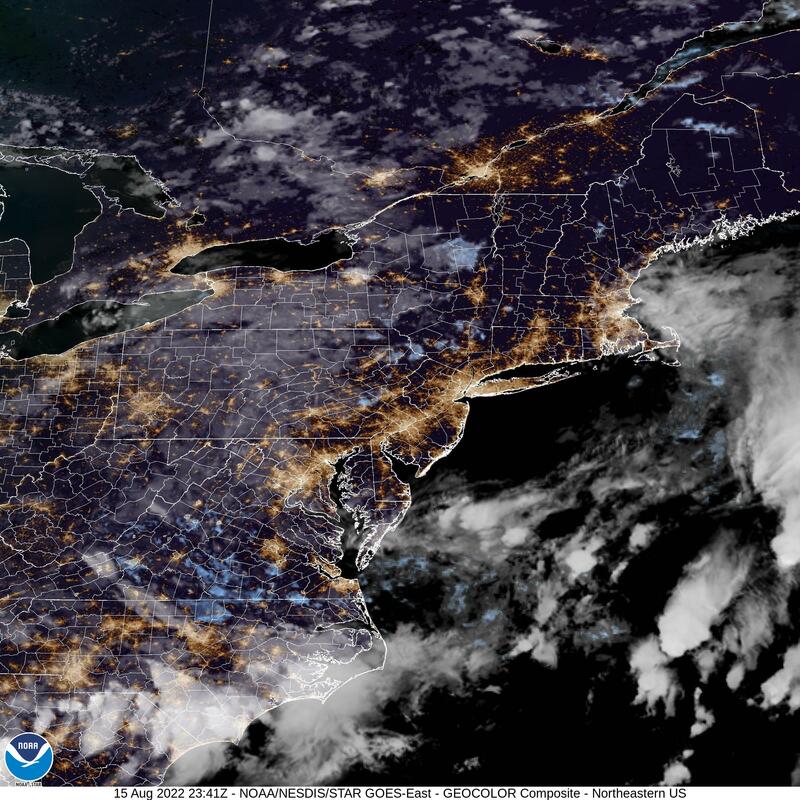 The cyclonic flow aloft has moved offshore — Sunday and Memorial Day will feature beautiful weather with sunny skies and low humidity. Temperatures on Monday will approach 85 degrees. When the front moved through on Thursday afternoon, the severe weather, including large hail storms also had some attractive moments. 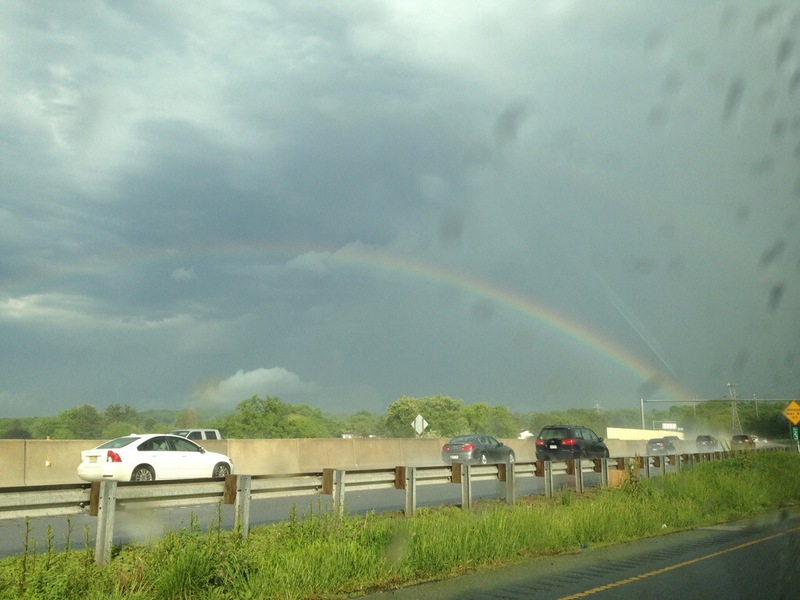 Here’s a rainbow seen as the large storms departed. Last night’s showers that interrupted the Phillies game were forecast to occur, but the chances were low probability. Low probability clearly doesn’t mean no probability. The showers were the result of an upper air cyclonic flow and a cool pool of cold air aloft, resulting in instability and lift. Today’s NAM model continues with the possibility of instability showers developing between 2 PM and 7PM. 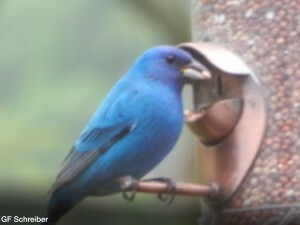 —- expected to be widely scattered and somewhat more numerous in central NJ. 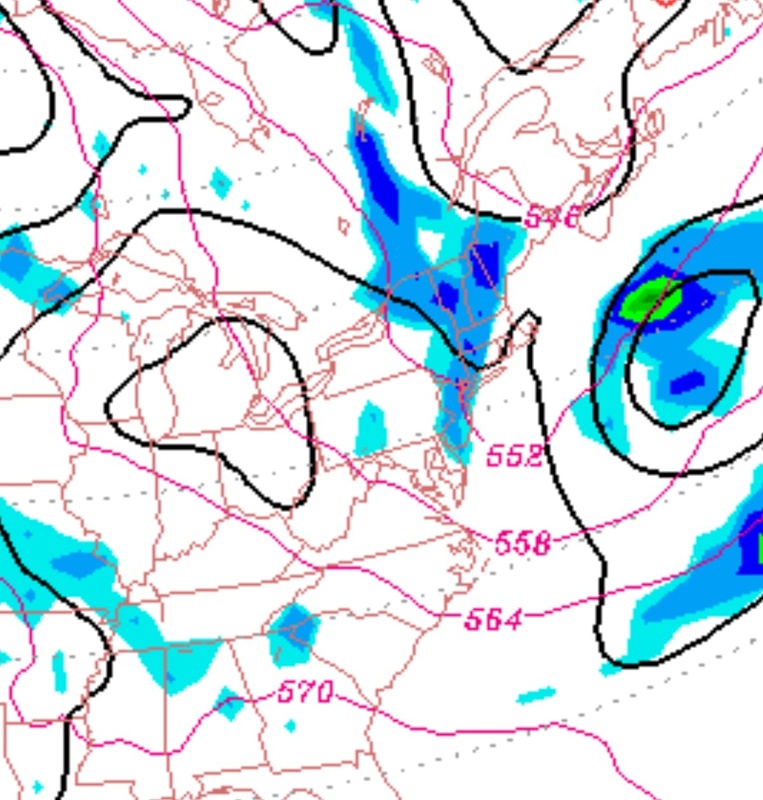 In fact, the NAM lifted index is forecast to be somewhat more unstable today, so scattered showers are likely, although not every area will see them.